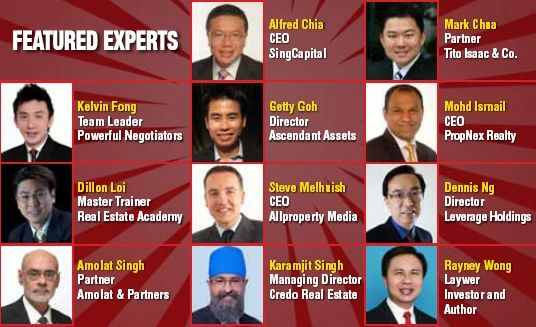 What Do the Experts Know About Profitable Singapore Property Investing That You Don’t? If you look at the list of the Forbes 40 richest people in Singapore, you will see many who made their fortunes developing and investing in real estate. Or just look around you – the average Singaporean’s wealth probably comes more from the appreciation of his HDB flat or private property than from any other asset. My point? Based on my experience and what I have observed, investing in property is the most common way for the average person to build up a significant amount of wealth. But isn’t it risky to invest in property now? In the current environment where the government has announced multiple rounds of measures to control the market and prevent rapid price increases, it might feel like a very risky thing to buy a property. Wise investors will look at this situation from a different perspective: For long term investors, the next one to two years is likely to present you with a golden opportunity to pick up a good property at a low price and make a lot of money. Yes, buying a property can be risky, and the best way to manage that risk is to be prudent when you are buying, to do proper research on what you buy, and to learn as much as you can about property investing. The problem I’ve found is that there are very few good and objective sources of information out there to help the budding Singapore property investor. While a good property agent is certainly helpful, a smart investor cannot rely solely on what an agent says as he has an inherent conflict of interest – his goal is to get you to transact, as that is how he earns his money. That might explain the amusing phenomenon of how many in the industry will say that it is always a “good time” to buy whether prices are going up or down. That was one of the main reasons why I started Propwise.sg, to help you understand the Singapore property market and make better buying, selling, renting and investing decisions – minus all the hype and misinformation. You can find most of the basic knowledge you need to get started there. This new book takes it up a notch! Don’t have a discount code? Enter your email in the box below and we’ll send you a member’s only discount code. 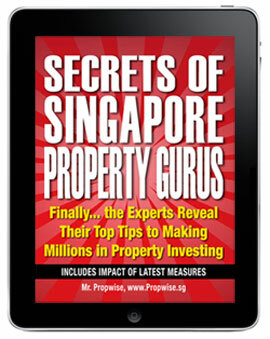 To write this book, I went out and interviewed the top Singapore property experts, bringing to you their (and my own) invaluable insights on how to make your fortune investing in real estate. It would cost thousands of dollars to get just one of these experts to consult with you on your property purchase – if you could even get access to them. I am amazed by how generously they have shared what they know, and truly believe that you will become a better investor and profit greatly if you listen carefully and learn heartily. 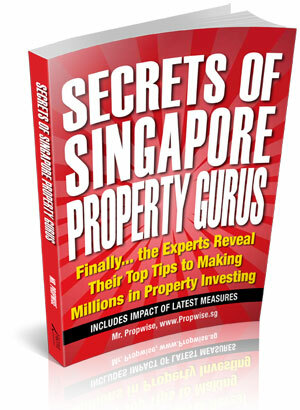 The 188 pages of Secrets of Singapore Property Gurus are packed with expert knowledge and life changing wisdom. What exactly will you learn in this book? Should you buy an HDB flat or private property? Should you do an Addition & Alteration (A&A) or demolish and rebuild a landed property? Should buyers go ahead with their purchase despite the measures? Should sellers sell their property now or keep holding on? Digital PDF version can be read on your computer or iPad at your convenience. You may also print it out if you wish. Are banks still willing to do property lending? How quickly should property owners pay off their loans? Should you get home and mortgage insurance? When should you take a home equity loan? Does the purchase process differ for residential, retail, office and industrial properties? Thousands of dollars of value for a fraction of the price. Should investors focus on en bloc properties? Are commercial properties attractive en bloc targets? Is Singapore property a good investment? Can you afford to make a mistake in property investing? Honestly, I can’t think of another resource out there that teaches you all the points above about Singapore property at such a low price. Can you? Have questions or not sure if this book is right for you? Email me at info@propwise.sg. 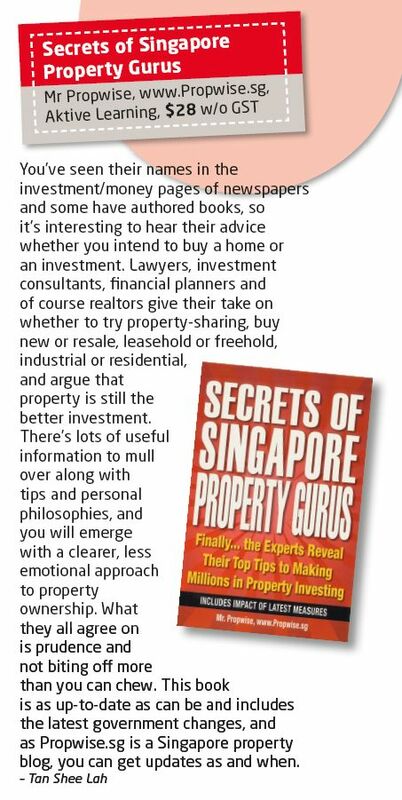 Secrets of Singapore Property Gurus is proudly published by Aktive Learning, a cutting-edge knowledge provider and publisher of general interest non-fiction. Pingback: Survey Results – Who Reads the Singapore Property Weekly? Pingback: Buyers versus Sellers – Who will blink first? Pingback: Will Interest Rates Go Up Soon? Pingback: New or Resale Property, Which One Is a Better Investment? Pingback: Understanding The Singapore Real Estate Market | Directory of articles about business, etc. Pingback: Buy Bye Property » Blog Archive » Past Article on Propwise (July 2011): Buyers versus Sellers – Who will blink first?